We are so excited to be a part of Something Old, Something New happening this weekend at the fabulous Ritz Carlton property, Reynold’s Plantation. It is sure to be a grand success with the awesome Michelle Gainey of Lemiga Events, co-planning the event. The event will feature live entertainment by my favorite band, Groove Centric, a luxury gifting suite, fashion shows, a design gallery, and a round table discussion with StudioWed style experts. 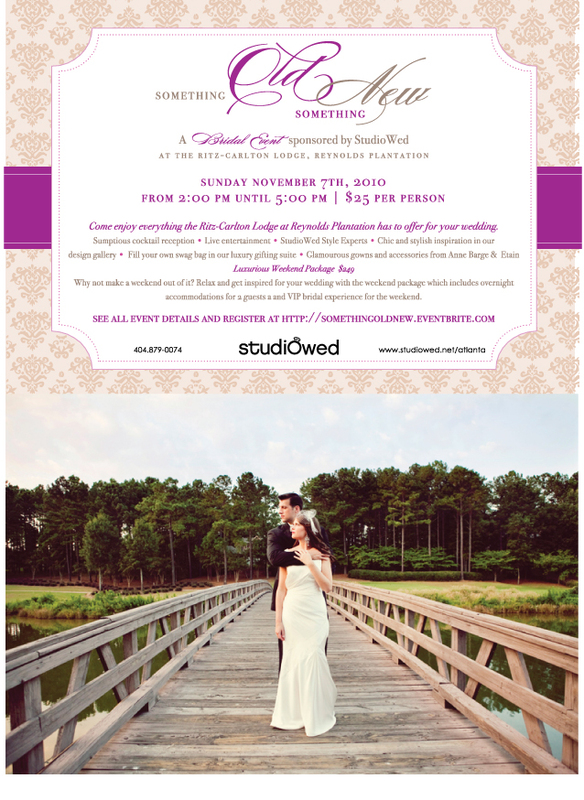 This is the perfect getaway for the weekend for brides. It’s not too late to register. We look forward to seeing you there!